Are you in training to be the next famous Welsh Olympian? Or are you looking to get fit in 2018? 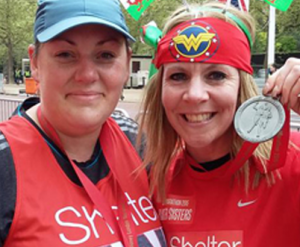 Whatever your reason, running for Shelter Cymru is a great way to put all of that training to good use. From 5k’s to marathons, Wales has it all. We have listed some races below but whatever run you want to do, sign up and let us know. We can provide you with a running vest and support you every step of the way. Already signed up to a running event? Encourage your friends, family and colleagues to commend your achievements by fundraising for Shelter Cymru. Last year more than 25,000 people were made homeless in Wales, including 4,700 children. That’s more than 12 children made homeless every day. Let your sweat and tears help us to make sure that more families and individuals remain in their homes across Wales and contact the fundraising team and we will be able to provide you with all of the support you need. Online giving is an easy way of raising sponsorship money- read our helpful guide to get your online giving page set up.